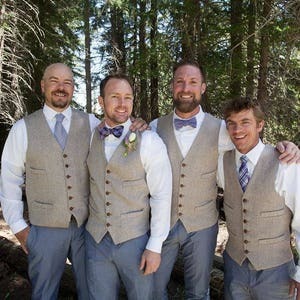 For multiple vests, order a minimum of 6 months ahead of event date. 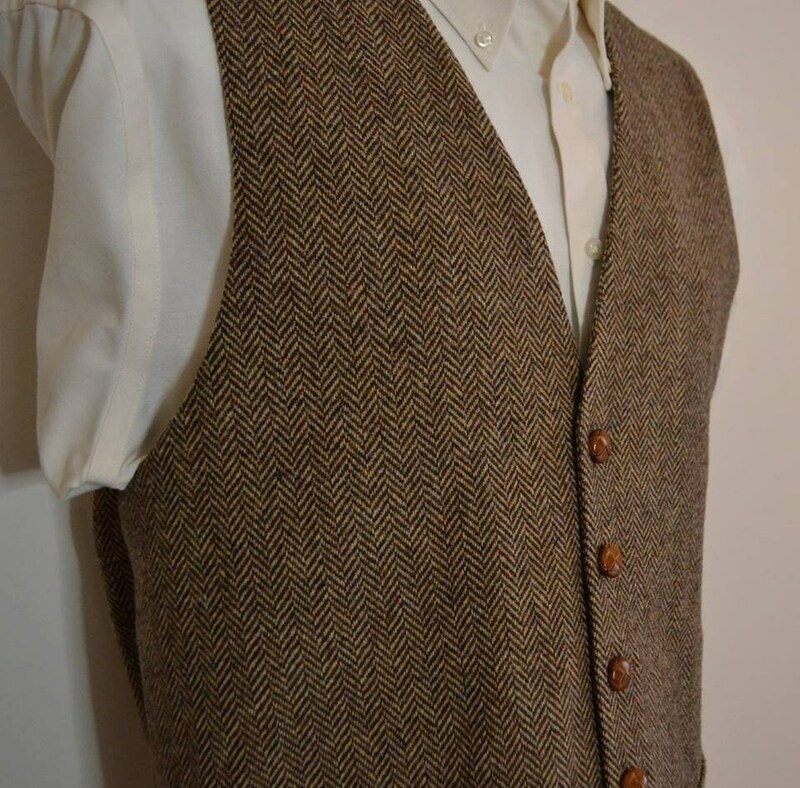 This fine quality wool tweed vest is available in all sizes teen through adult, custom fit to each individual. 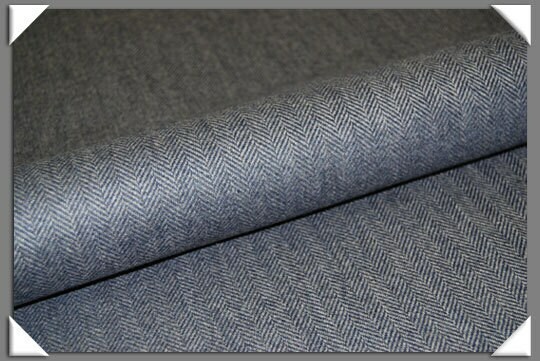 Choose from the above quality, hand selected herringbone tweeds. 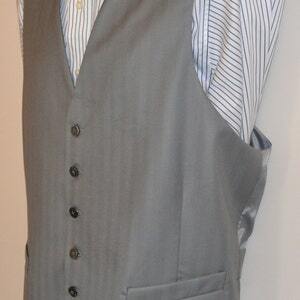 Vest is lined in complementary colored 100% acetate. 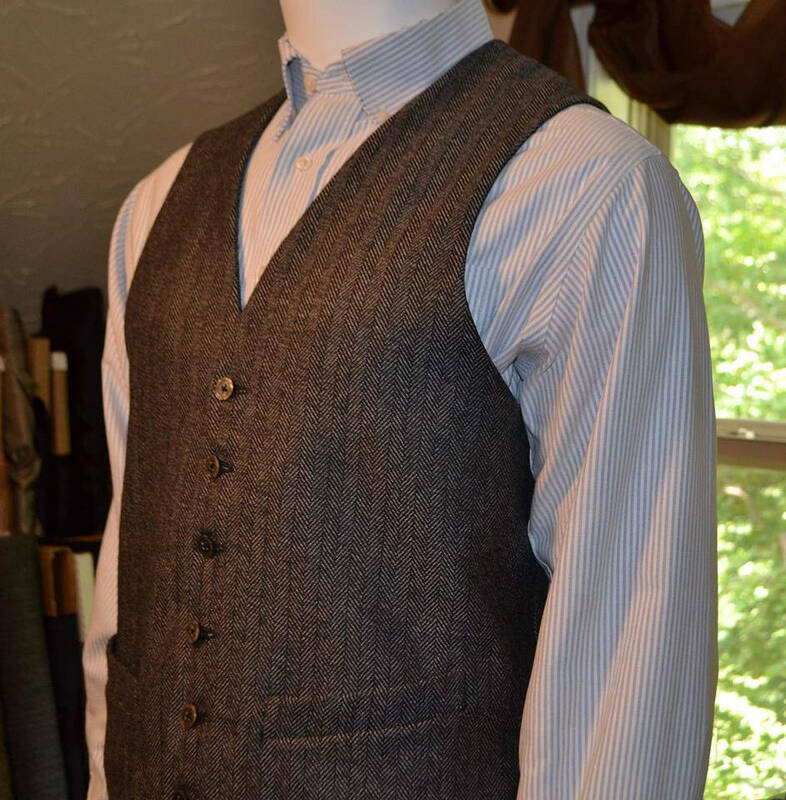 It is designed as a classic style vest, with 6 buttons, 2 fully functional welt pockets, fully lined including front and neck self-facings, and back belt with antique silver buckle. 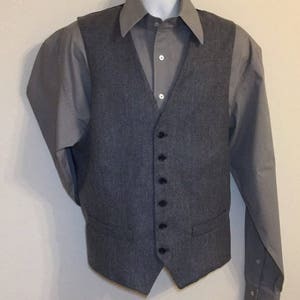 Extra button included. Dry Clean Only. 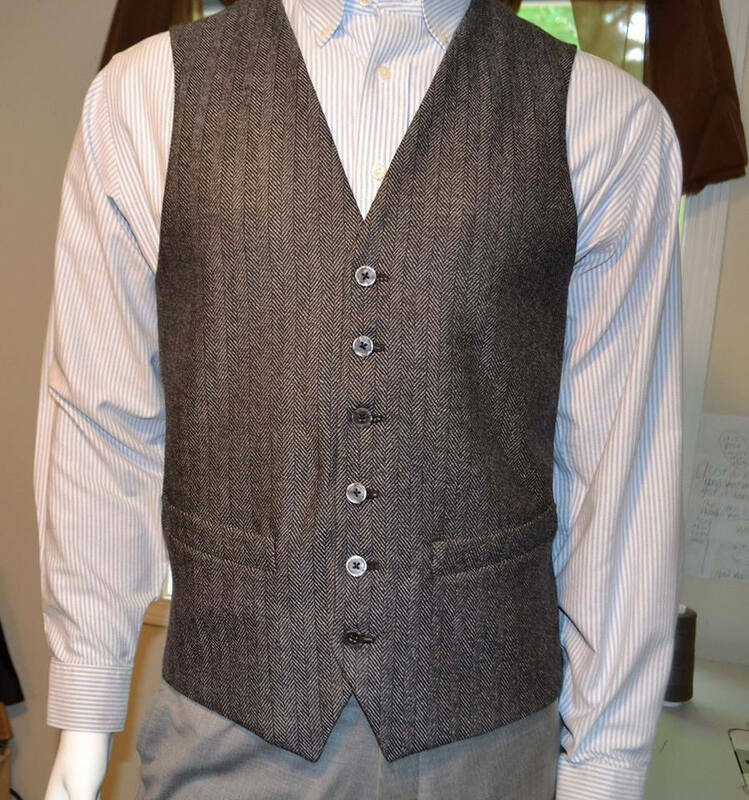 Vest will be custom fit. 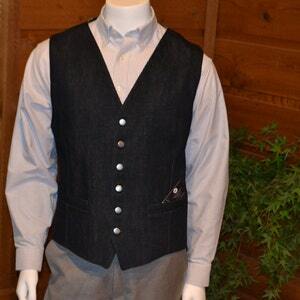 Order the size closet to the one you wear usually (chest measurement). 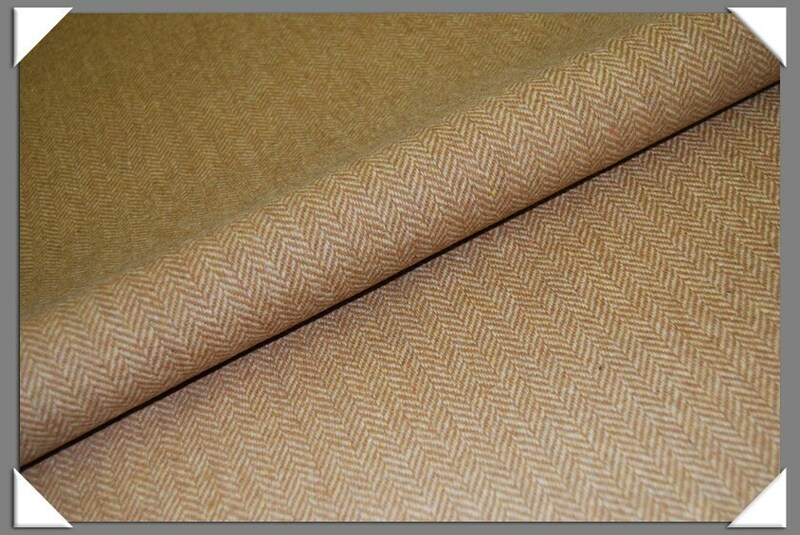 Original pattern by AC Ashworth & Company, Member, ASDP. Fits perfect! 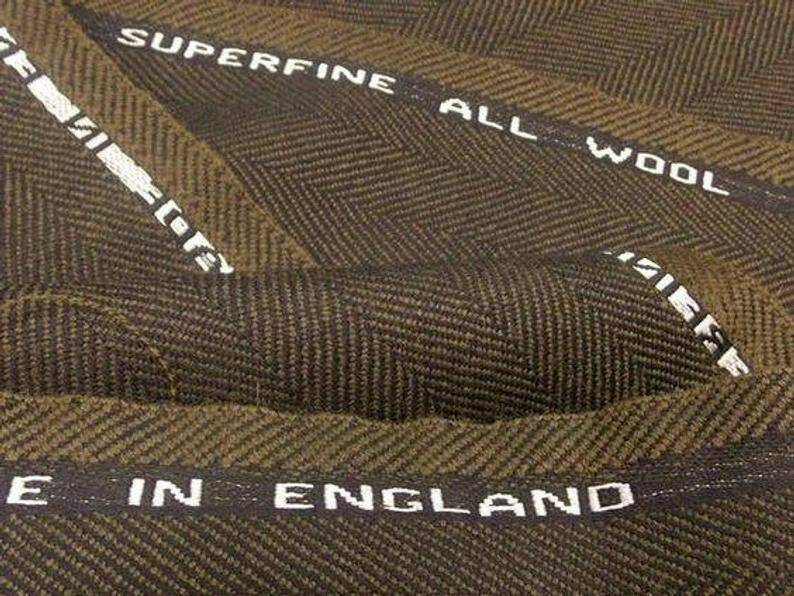 So well made. Thanks! We had such an excellent experience working with AC Ashworth & Company. Not only were they incredibly prompt, responsive and helpful with a tight deadline...they also went the extra mile to work out some sizing issues. 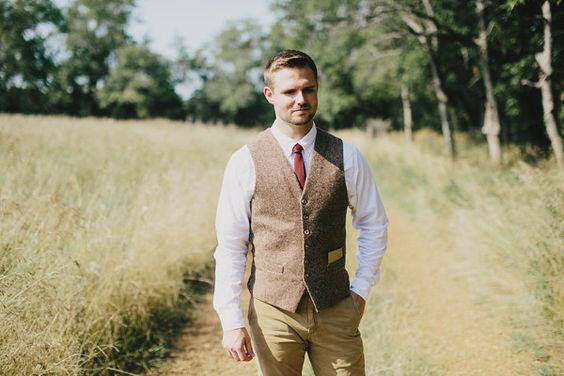 I can't wait to see how amazing my fiance looks in his vest on our wedding day - thanks so much to AC Ashworth!!!! 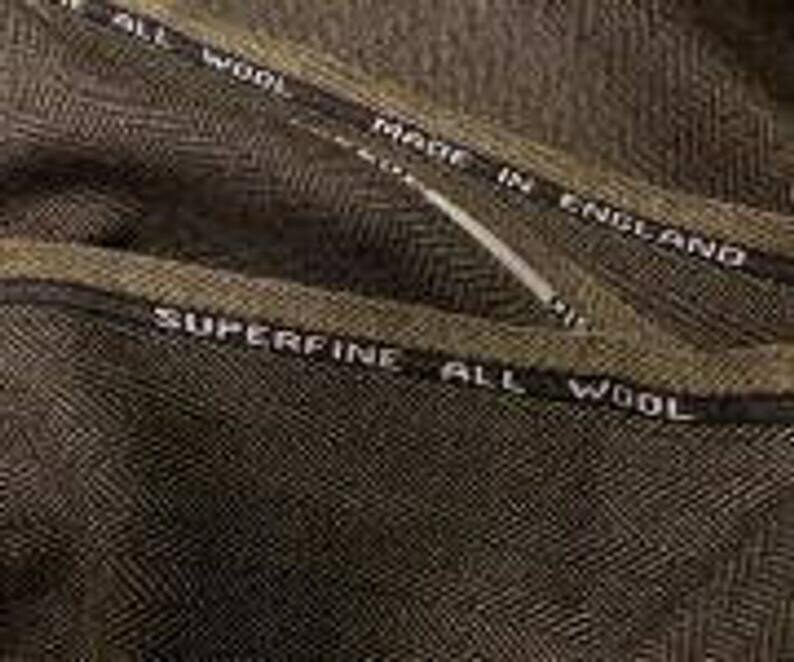 Amazing quality and attention to detail. Thank you.